Barry Jackson, of The Miami Herald, reports free-agent LB Zach Thomas (Chiefs) says he has played his last NFL game and would "love to" sign with the Miami Dolphins for one day so he can retire as a Dolphin. Thomas is still having symptoms from concussions, "including fuzziness when it gets cold." I dont have a good feeling about ZT's future. Maybe he played a few seasons to long. Concussions are a serious problem in the NFL, and the players need to realize the consequences of playing with concussions. I'm glad to see he wants to retire as a Dolphin, but I agree FINesse, I think Zack is going to have some issues that will have to be dealt with. He is a Dolphin, and he always will be a Dolphin... same case for JT. One of my favorite players.It's a honor for me as a Dolphin fan for him to request that. My eyes might of just welled up a little . . .
Well this is a no brainer for the Dolphins, you sign him for a day and retire him. 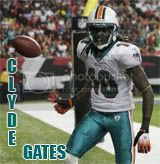 He goes down as one of the all time Dolphins greats. I sure do miss him now. I don't see how the franchise couldn't do it. I appreciate everything Zach did for the dolphins, but what will signing him to a one day contract accomplish? He will forever be known as a dolphin that will not change. I expect 100% that Zach will be signed to a one day contract, so that he can retire a Dolphin. It was so awesome having him in the middle of our defense for so many years. I definitely miss him. One of my favorite quotes was the comment Mike Dikta said about Zach Thomas coming at you like a rolling ball of butcher blades! Classic and he gave his heart and soul to this game. 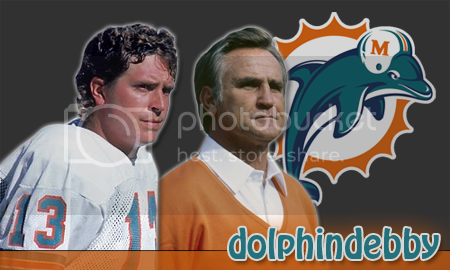 This is a no brainer here, one of the most beloved Dolphins of all time. It's not really to accomplish something. He just wants to retire officially with the Dolphins.In Which I think is a humble and a honorable thing to ask for. I heard Joe Rose talking about this this morning and he brought up a fact that I never really thought of: Is Zack Thomas one of the top 10 Dolphins of all time? I would have to say yes. He was in on every single tackle it seemed like, he would pull in 150+ tackle season all the time. I think he should be given his one day contract, let him retire a phin, and put him up in the ring of honor all at once. I say yes as well... he overcame so many things and became a key to this defense in a short time. The guy was all over the field covering people nobody thought a LB could cover. Love the guy, and he's definitely in my top 10... if not top 5. I'm sure it's just a matter of which game Zach wants to retire during, be honored at, lead the team out of the tunnel for, whatever. I hope he gets the same kind of treatment the Saints gave to Duce McAllister. It's hard to believe they wouldn't do this for him. I would like to see them retire his jersey also. Its only right! hell i remember the first time i saw him play for Miami I didnt know he was it was his rookie yr and they were playing Arizona I think it was the 2nd game of the season, and i remember telling my uncle WHO IS THIS CAT! hes gonna be darn good! & he was!